The Wikipedia defines “Killer App” as a marketing term for “any computer program that is so necessary or desirable that it proves the core value of some larger technology.” Not surprising that the term comes from marketing, that branch of business devoted to competing for customers and trying to kill off the competition. But if we remove ourselves from the context of dog-eat-dog, and then start from that definition and work backwards to come up with a single word that it defines, well, “killer” hardly seems right. “Mother” fits much better. Those applications that seed the growth of whole new realms, we ought to call Mother Apps. VisiCalc, the first spreadsheet app, often gets used as the prime example of a Killer App. Lots of folks bought Apple II computers just so they use VisiCalc. More broadly e-mail (as a category of App) frequently gets nominated as the Killer App for the Internet. Pretty obviously nothing was killed in either of these examples but lots got birthed. 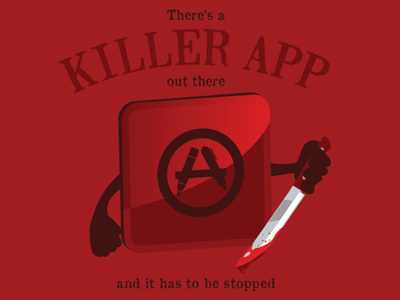 More recently the term Killer App has become diluted in common usage to mean any indispensable computer program. Just try typing into google “X is the killer app”, and substitute for x with Facebook, Twitter, Instagram, etc, and you’ll see what I mean. But I find it really useful to maintain that distinction of source or spring-board. So I offer this definition of “Mother App”: a computer program (or class of program) that uses a technology in a new way to both reveal and unleash its power.” I hope it catches on!